Shielded from big-city traffic by thick walls, this peaceful oasis was at one time the serene and idyllic garden of Frankfurt´s renowned Bethmann family. Featuring a floral splendour of special magnificence, Bethmann Park could well double as the lush parklands of a spa resort. 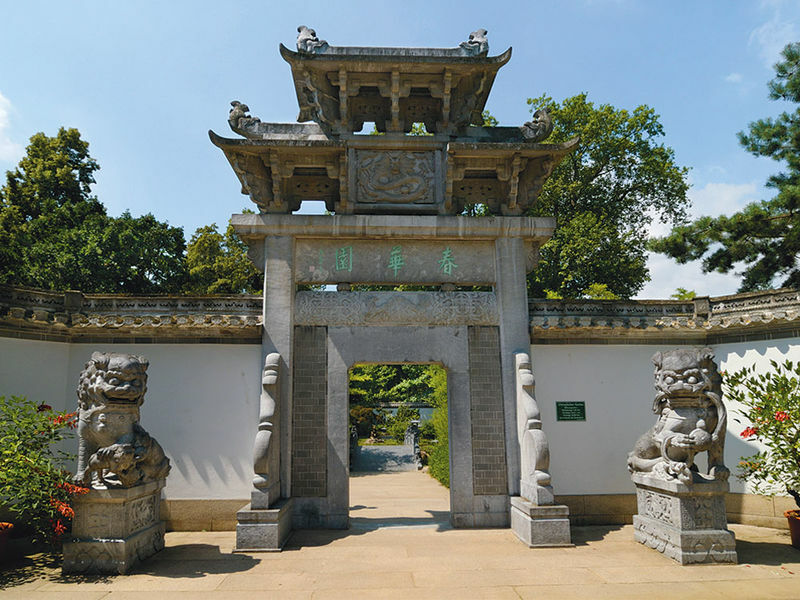 The Chinese Garden, landscaped according to the principles of feng-shui, is the park´s biggest attraction. Its pond, bridges and the dragon-guarded portal serve as popular photo motifs. A place of great serenity - perfect for meditation and quiet contemplation.